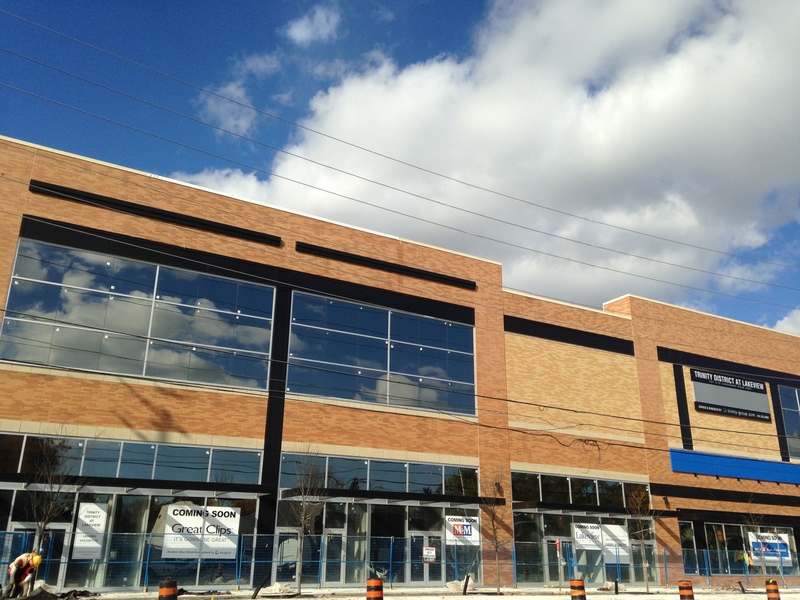 The Mississauga News and Ward 1 Councillor Jim Tovey are both reporting that Walmart Canada has cancelled plans for a 84,000 square foot “urban” store on Lakeshore Rd. E. just west of Cawthra Rd. in Lakeview at the extreme eastern end of the Port Credit Business Improvement Area. Lakeshore Road E. from Seneca Avenue to Cooksville Creek — including The District at Lakeview which was to house the retailer — was recently made a part of the Port Credit Business Improvement Area. There were no immediate plans for the vacant retail space reported.